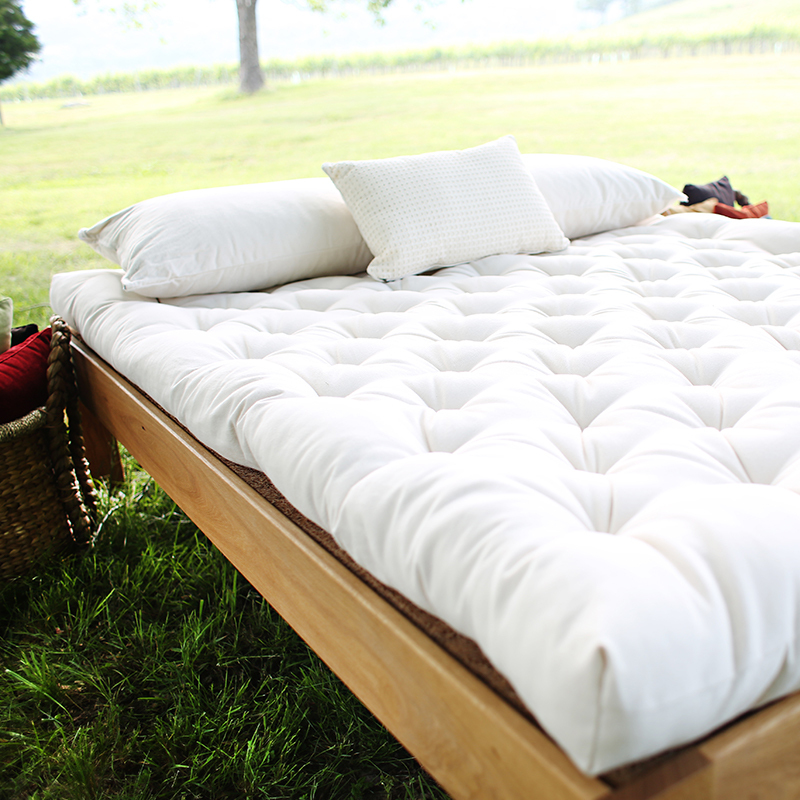 The Pastoral is filled with organic wool batting inside a tufted organic cotton cover. It does not contain latex. 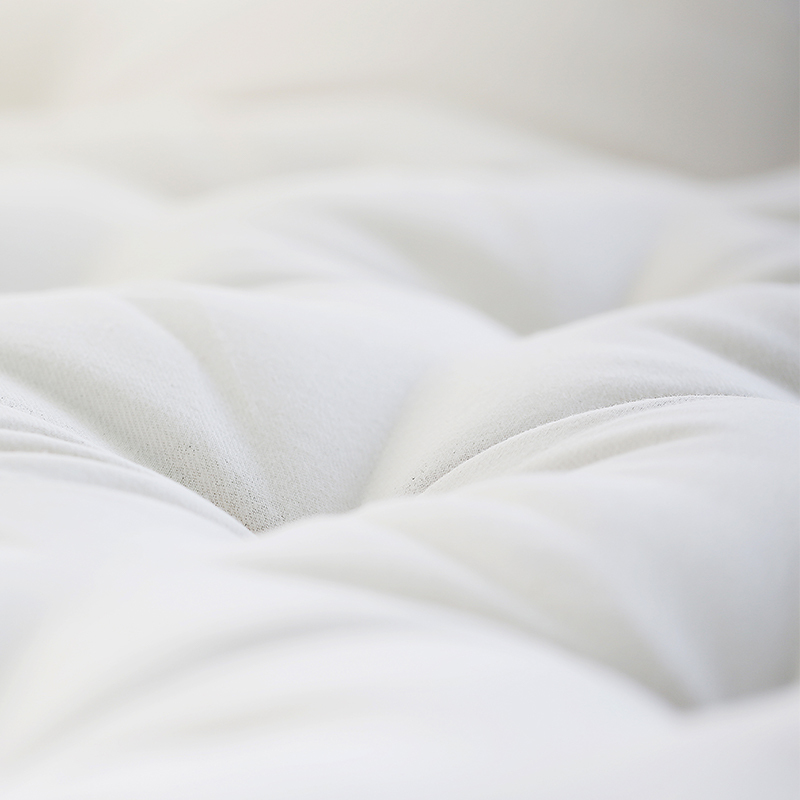 The organic wool fiber is resilient, supportive, and promotes a cooler, drier sleep environment. The Pastoral is flexible enough to serve as a futon. Each is handmade and tufted with natural linen thread. Custom sizes (width and length) are available. A Pastoral will ship within 3-4 weeks of order date. For details see Shipping & Delivery. 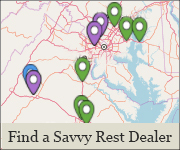 Learn more about our Warranty. 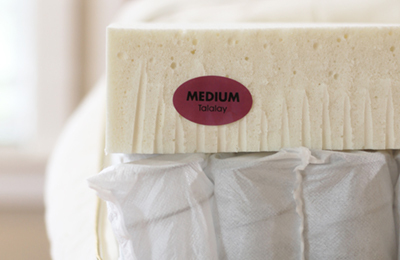 Our most popular natural mattress is customized with personalized combinations of Soft, Medium and/or Firm latex. 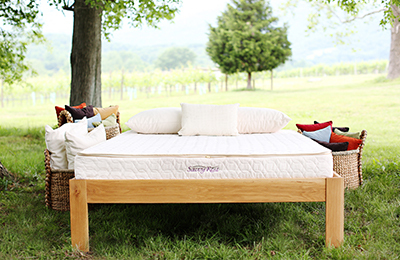 The Tranquility natural mattress is made just like the Serenity, but with two 3" layers of natural latex. 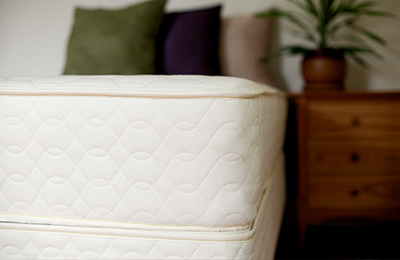 This mattress includes 8" of pocketed coils made from recycled steel and one 3" layer of natural latex. 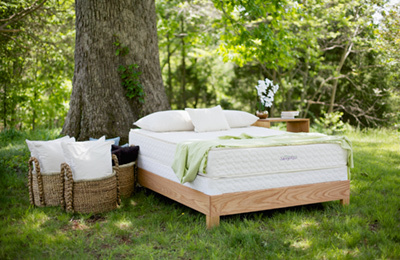 The Earthspring™ is an affordable innerspring featuring one 3" layer of soft Dunlop latex over a recycled-steel spring.